"Rich and wise and beautifully written....this novel again and again reminded me of why I fell in love with writing....the sudden but hard-won insights seem intensely real and right." “Lystra….has written a beautiful novel that blends artistry with coming-of-age emotion." "This is a love story of a most unusual kind....There is a kind of innocence....that has not been so effectively portrayed since Salinger invented Holden Caulfield. Lystra's style is spare and direct and yet profoundly evocative....An absolutely stunning debut." "Lystra delves deeply into the minds and motivations of his characters, carving out an interesting and meaningful story." "Lystra confounds all the simplistic, expected plot turns that such a (story) premise might inspire in a lesser writer and, by allowing his characters to develop slowly and naturally, brings them into convincing and honest actions." "Author Donald Lystra tells a tough but endearing story of two young adults grappling with some very difficult situations.... The book is not predictable in any traditional way.... Watch this book catch on with young adults and their parents." 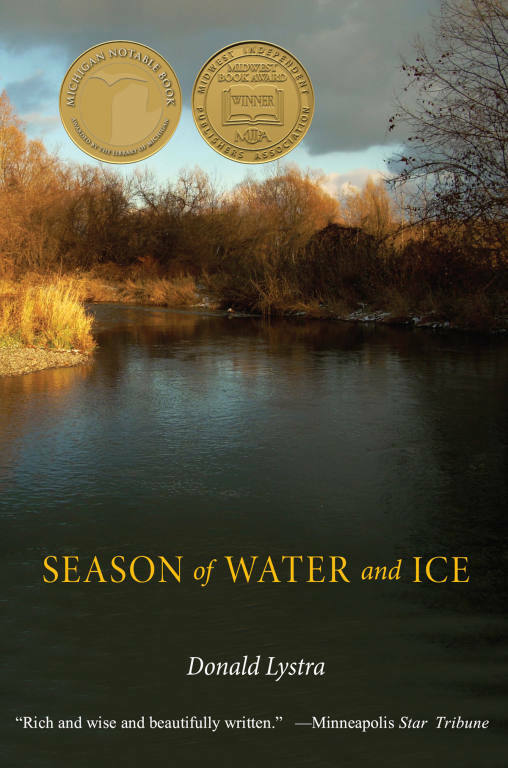 "Let's not mistake Season of Water and Ice for a typical coming-of-age story. Its voice is too rich, its pacing too measured and elegant.... Donald Lystra has written a fierce and tender debut novel about the unreliability of love." "Lystra has captured the voice and rhythms of adolescence with great skill. Season of Water and Ice is tersely told and generously realized.... It's a fine striking debut."